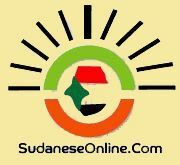 According to a statement released on Wednesday, Foreign Minister Nabil Fahmy arrived in Sudan on Wednesday morning to participate in the 20thandnbsp;session of the Executive Council of the Community of Sahel-Saharan States (CSSS), which will be held from 12 to 13 March. The meeting includes 27 countries bordering the Sahara desert, and according to the foreign ministry, will “address the challenges of security and development taking place in the Sahel-Sahara region”. According to Foreign Ministry Spokesman Badr Abdelatty, Egypt is attending “to follow up on a number of initiatives, most important of which is [Egypt's planned] hosting of [a conference for CSSS-affiliated] defence ministers during the second half of the year, as well as providing a range of training courses and workshops” on conflict resolution and peacekeeping. Since Egypt’s suspension from the African Union, immediately after the ouster of former President Mohamed Morsi, Fahmy and other officials have travelled extensively across the continent in to maintain and repair relations with other nations. On Tuesday Egyptian Prime Minister Ibrahim Mehlab met with South Sudanese Foreign Minister Barnaba Benjamin. The pair discussed Egypt’s status within the African Union and Benjamin said his nation has exerted efforts in “every African forum” to lift Egypt’s suspension. While the suspension was not explicitly mentioned in the foreign ministry statement, it said that Egypt’s attendance of this summit along with other regional meetings affirms “the great attention given by Egypt… to relations with Africa” and its “commitment to recover the Egyptian role in the continent”.